It’s difficult to find high quality natural skincare products that have scientific research to back the claims that they make. 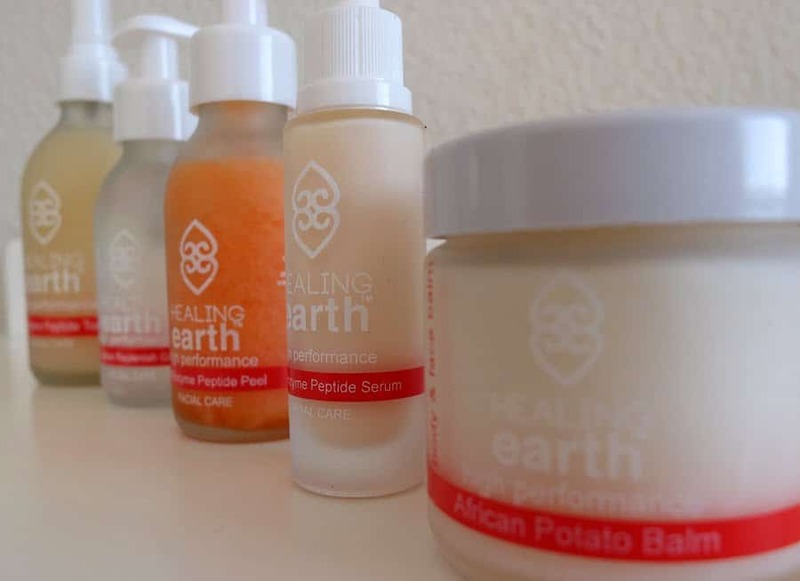 Healing Earth‘s new High Performance range is different, this range is the culmination of two years of research focused on delivering active ingredients to deeper levels of the epidermis. The active ingredients are drawn from three equally important fields: high-tech industry-approved technologies (such as pentapeptide 4 and a cocktail of high-dosage anti-ageing components including vitamin C, vitamin E, matrixyl, cranberry extact and more); the traditional wisdom of African healing (kigelia Africana, papaya enzyme, green tea oil and the like); and universal holistic tools (such as neem, moringa, lavender, rosehip and neroli oils, to name a few). Elisabeth Brandt is the founder, developer and director of Healing Earth. Her holistic approach to wellness means that she prioritises using natural ingredients in her product development. Her philosophy is to nurture and develop conscious, healthy people through opportunities that allow for connecting with the self, the environment, and all beings and I love how that ethos comes out so strongly in this new range. As with other ranges, the packaging is fully recyclable, ingredients are purchased from local farmers at Fairtrade prices. The brand is also animal friendly, neither the products nor the ingredients in the products are tested on animals. The peel works to firm and rejuvenate the skin. I loved how the peel left my skin feeling smooth without making it sensitive. I’ve used a couple of peel products recently that have felt quite harsh and I loved the fact that this peel feels like it’s still doing the hard work without damaging my skin. The toner smells amazing and works to plump and rejuvenate the skin. It feels gentle on the skin, but it is still very effective at removing the day’s grime. The serum is one of my favourites, probably because it’s express purpose is to reduce signs of visible aging and who doesn’t need that? I think if you’re going to invest in an anti-aging product, this is a great place to start. Use it after cleansing and toning, and before moisturising. Aloe Vera in the Replenish gel makes it soothing and fresh feeling. It’s a perfect protective layer for during the day keeps the skin moisturised but not oily. This is my favourite product in the range (only marginally ahead of the peel) for two reasons. Firstly, it’s deeply nourishing for the skin and secondly, it smells like a day at the spa. 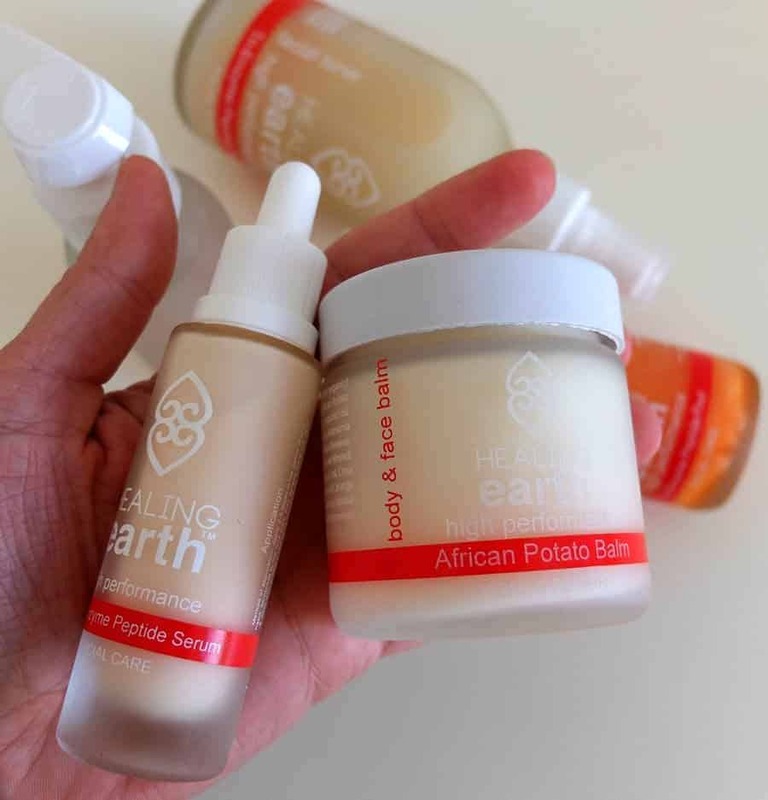 The potato balm is really versatile, I use it on my face and neck, my cuticles and elbows. It’s also perfect for sensitive skin having been originally developed by the founder for her daughter who was suffering from eczema. And the balm goes really far, I use a tiny bit on my face at night which makes it great value. I’m really happy to have this range to keep my company this winter. My skin isn’t feeling nearly so dry, and using these products in combination means that keeping my skin moisturised doesn’t automatically translate into having oily feeling skin. ** Disclaimer: I was given the range to review. 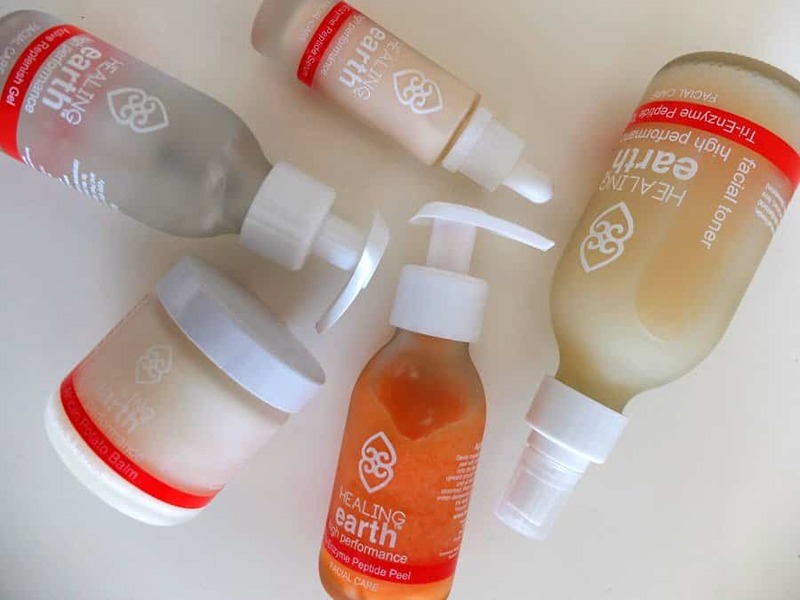 But I book treatments at spas that use the Healing Earth range as I love the ethos and quality of the products.